Home » Archive by category "March 2009"
downtown-san-diego-real-estate/cortez-hill-by-type-of-sale-2/413/ In the Cortez Hill neighborhood February dealt only with Resales and REO sales. 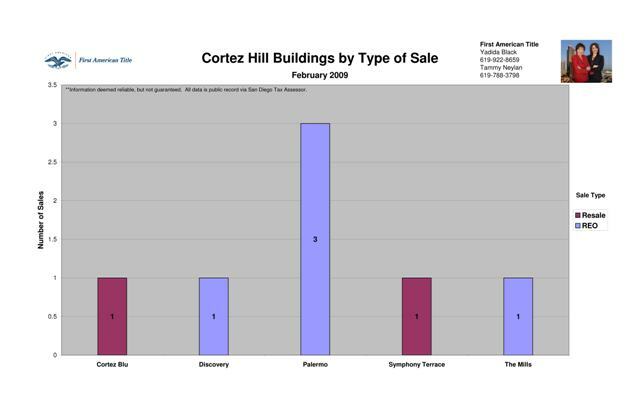 Cortez Blu and Symphony Terrace both had one Resale. Palermo led the REO sales with three. 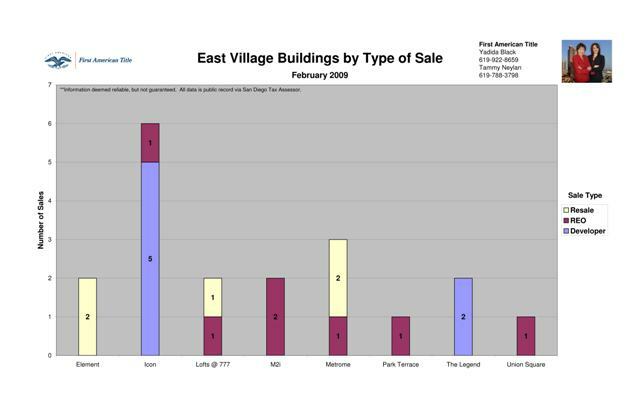 downtown-san-diego-real-estate/columbia-district-by-type-of-sale-2/411/ The February graphs are in! We’ll start last months analysis with the Columbia District. Sapphire Tower was the only complex that saw any Developer sales, with a total of one. 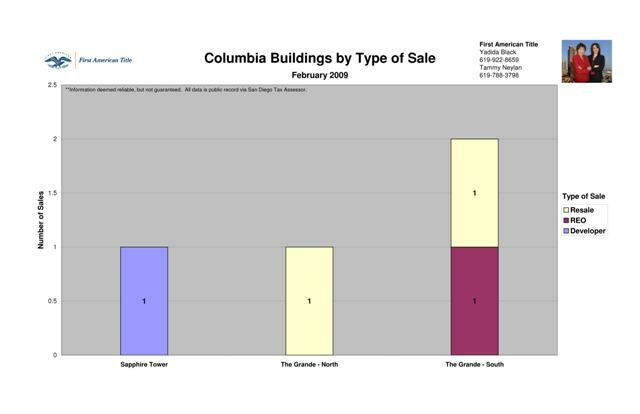 Both the Grande North and South saw one Resale each. The Grande North was the only complex with an REO sale, totaling one. downtown-san-diego-real-estate/wall-street-average-rises-as-housing-reports-do/405/ Amongst reports that home construction rose in February Wall Street saw an increase in the Dow by 179 points. To find out more check out the March 17 Union Tribune article: Wall Street resumes rally following housing report. downtown-san-diego-real-estate/slight-increase-in-median-home-price/403/ San Diego saw a slight increase in median home price in February in addition to upward movement of other indicators which gave some hope for a stabilizing market. The Union Tribune’s article: Housing data has glint of stability, and the above chart delve further into the topic of stabilizing prices. downtown-san-diego-urban-lifestyle/wayward-whale-cruises-san-diego-bay/401/ In the March 17 Union Tribune article: Gray whale still cruising around San Diego Bay we learn about our current gray whale visitor who seems to be off track on his first migration to Alaska. San Diegans have enjoyed looking out but have been warned to keep their distance.